"Macao Food Guide during Spring Festival"
With the seven-day Spring Festival Golden Week (4th – 10th February) arriving next week, Macao Government Tourism Office (MGTO) is gearing up for the festive period with a diversity of proactive measures, such as forecasting visitor flows by use of big data for the first time. Visitor flows will be monitored at tourist districts and congested locations for internal testing during the Spring Festival Golden Week, to ensure that accurate reference data can be delivered in the future after the official launch of the project to facilitate visitor flow diversion. MGTO rolls out a range of other preparatory measures for the Spring Festival Golden Week as follows: sending reminders to tourism industry operators, activating the tourism notification system, interdepartmental sharing of information, sending reminders to visitors by mobile text message, advising visitors to visit major attractions during off-peak hours, more scrupulous inspections, delegating manpower at tourist spots to attend to visitor enquiries, food guide publication as well as staging various mega Chinese New Year celebrations, among others. The above measures are carried out to safeguard service quality in the industry, optimize the tourism environment and cater to the needs of residents and visitors for a memorable festive season in Macao. 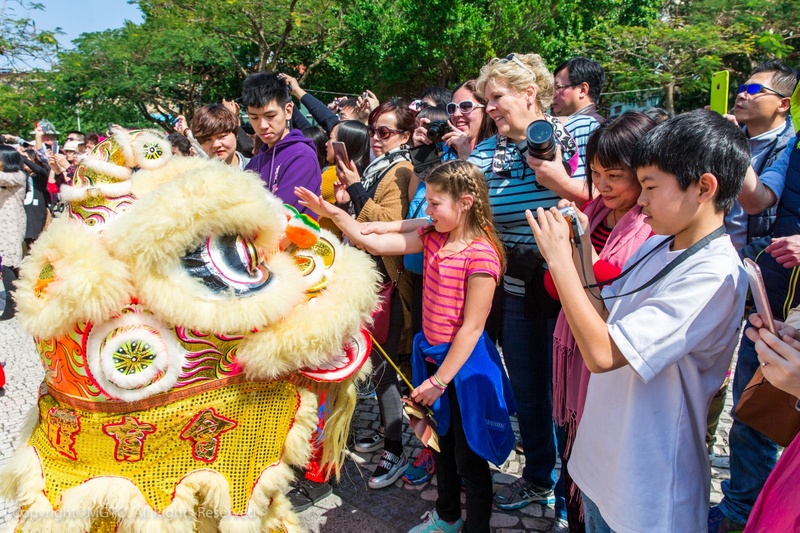 MGTO’s online statistical platform, Macao Tourism Data plus, will indicate provisional statistics during the Spring Festival Golden Week for the public’s reference between 5th and 11th February, revealing provisional figures of visitor arrivals to Macao from every previous day. Declared room rates of local hotels and guest houses in all room categories are also regularly posted on MGTO’s website and Macao Tourism Industry Net. Furthermore, via WeChat, the Office has advised visitors to arrange their accommodations and itineraries in advance of their trips to Macao. MGTO and the Department of Culture and Tourism of Guangdong Province will jointly operate "Tourism Notification System for Spring Festival Golden Week" with close communication during the above period to ensure smooth hospitality for visitations between Guangdong and Macao during Chinese New Year. To safeguard visitor rights and tourism quality, MGTO has sent out letters to raise the awareness of industry operators about hygiene, fire safety, guest capacity, opening hours, occupational guideline on receiving tour groups, requirement for hotels and catering establishments to declare price lists as well as for hotels to record hotel guest information upon check-in, hotel swimming-pool management guideline and so forth. In addition, MGTO has sent letters advising travel agency associations to liaise and coordinate with local travel agencies on their itinerary arrangements for tour groups to major attractions. During Chinese New Year, MGTO will carry out more frequent and rigorous inspections at tourist attractions, ports of entry and different districts besides taking concerted action with police authorities to tackle provision of illegal accommodation. MGTO’s inspectors will stand by round-the-clock while manpower will be increased at Tourist Information counters. MGTO's tourism hotline (853) 2833 3000 will maintain its 24-hour operator service to attend to visitors’ enquiries. Visitors can also access travel tips and relevant information on MGTO’s website. During last 1st October Golden Week, MGTO partnered with the Public Security Police Force to divert visitor traffic at tourist attractions by sending mobile text messages in accord with geographic locations for the first time. In this upcoming Spring Festival Golden Week, MGTO will once again leverage smart technology to divert visitor flows. Upon receiving the Police Force’s forecast that tourist traffic will spike imminently at main attractions such as the Ruins of St. Paul’s and Senado Square, MGTO will instantly send a mobile text notification through telecommunication companies to visitors in areas including Praça de Ferreira do Amaral, the vicinity of Nam Van Lake, Rua do Campo and Ponte 16, advising them to avoid visiting the congested areas at the moment. 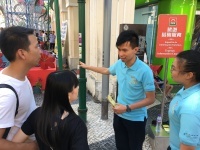 In addition, from 2nd to 10th February, staff will be arranged at 10 tourist locations to provide visitors with tourism information and guidance while assisting in diverting visitor flows, with the aim to minimize their impact on traffic conditions and neighborhoods near popular tourist sites, thus maintaining a positive destination image. MGTO will ride on the opportunity during the Spring Festival Golden Week to predict visitor flows by use of big data and monitor visitor flows at tourist districts and congested locations. Through collaboration with the Public Security Police Force, MGTO will adequately adjust its smart application for visitor flows and gear up for its official launch. After launch, the relevant themed website can provide a glimpse of visitor flows in the future, facilitating visitors’ itinerary arrangement and leading to increasingly effective diversion of visitor flows. Visitors can access the Public Security Police Force's website: http://www.fsm.gov.mo/psp/pspmonitor on phone or computer to check the real-time border-crossing images at the arrival/departure halls and traffic lanes of Barrier Gate Frontier Post, Outer Harbour Frontier Post, Cotai Frontier Post, Taipa Ferry Terminal Frontier Post and Zhuhai-Macao Cross Border Industrial Zone Frontier Post on the "Real-Time Information Platform of Border Ports". Hence visitors can choose more suitable timings to leave or enter Macao. MGTO also regularly communicates and exchanges information with various public entities including Consumer Council, Macao Customs Service, Marine and Water Bureau as well as Transport Bureau. Residents and visitors can download MGTO’s various mobile apps including "What's On, Macao", "Experience Macao" and "Step out, Macao" from App Store or Google Play for a diverse range of travel tips about Macao, from local events and festivals, performances, exhibitions, activities to the newest attractions in town. Visitors can also obtain the promotional leaflet “Enjoy Macao” at MGTO’s Tourist Information counters or follow MGTO’s WeChat ID “MGTOweixin” for more information. 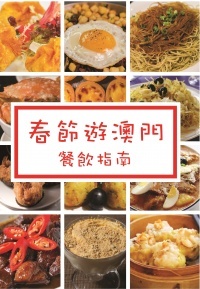 MGTO has published the "Macao Food Guide during Spring Festival" (Chinese version only) together with the General Union of Neighbors Association of Macau, the United Association of Food and Beverage Merchants of Macao as well as the Industry and Commerce Association of Macau Northern District. Offering a contact list of restaurants and eateries open during Chinese New Year, the handy food guide familiarizes visitors with operation information of relevant restaurants. In addition, the “Gastronomy Map” http://maps.gastronomy.gov.mo indicates over 80 culinary delights with their restaurants/catering outlets across the digital map, enhancing visitors’ quest of local cuisines across different neighborhoods. Visitors can also find award-winning establishments listed in the publication “Star Merchant Award – Restaurants and Eateries Guide” and brochure “Star Merchant Award – Travel Agency Industry”. To enrich the festive experience of residents and visitors, MGTO will roll out a series of activities during Chinese New Year, including “2019 Chinese New Year Celebration activities” on the 1st Day (5th February) and 2nd Day (6th February) of Lunar New Year, “Celebrations of the 20th Anniversary of the Establishment of the Macao Special Administrative Region – Parade for Celebration of the Year of the Pig” on the 3rd day (7th February) and 6th day (10th February) of Lunar New Year, non-local group performances at designated locations, Parade Float Exhibition and the Fireworks Display for Celebration of Chinese New Year. Besides, the God of Fortune, the three Gods of Happiness, Prosperity and Longevity, the 12 Chinese Zodiac Mascots, Entourage Boy and Girl, Macao Tourism Mascot “MAK MAK”, as well as the dragon and lion dance teams will convey warm wishes and distribute “Lai Si” and souvenirs to residents and visitors around the city. The Chinese New Year Festivities Program as well as the aforementioned guides and brochure are available for download on MGTO's website: http://www.macaotourism.gov.mo or can be acquired from MGTO’s Tourist Information counters. 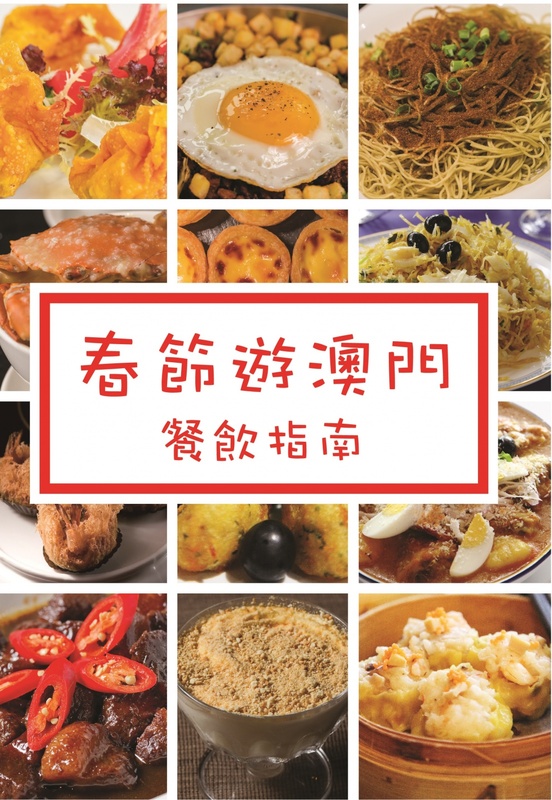 Residents and visitors can also browse the "Macao Food Guide during Spring Festival", “Gastronomy Map” and “Star Merchant Award – Restaurants and Eateries Guide” on MGTO’s WeChat ID.